Holland, Michigan, some might say, is a tulip town. But some might also say that Holland is about more than tulips. And they’d be right too. 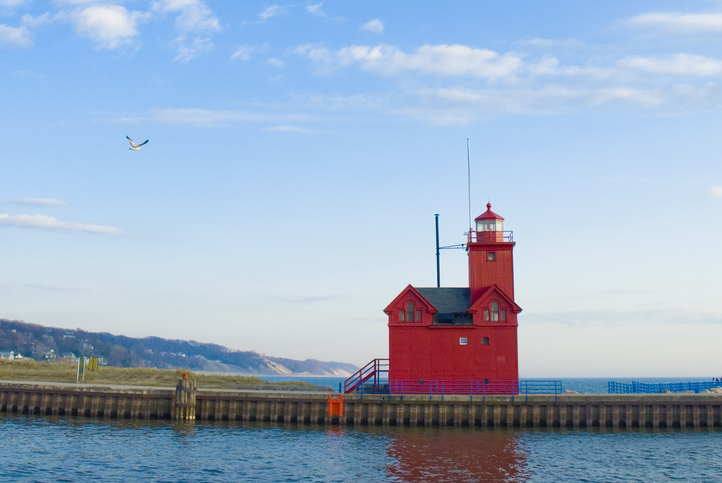 Sitting quaintly and quietly on the eastern shore of Lake Michigan, this little gem of a city is a treasure to be found and a joy to behold. At about 34,000 people and part of a larger metropolitan area with a population of about 100,000, Holland is large enough to be cosmopolitan but small enough that you feel like the city was made just for you. There’s a beautiful downtown (one of “America’s Prettiest Towns” per Forbes) and a riverfront. There’s blindingly white sandy beaches and dunes to go with them. There’s a lakefront for the kids and 150 miles of paved bike paths for the adults. And about those tulips: in May, you’ll find about six million of them here. But let’s back up. Holland’s a delight. And you could visit it; come for the windmill or the fall colors. But perhaps, just maybe, you want to live here. Maybe you’re a first-time home buyer. Perhaps it’s time to upgrade. Are you lucky enough that a vacation home is within your reach? Or are you considering a place to retire? Holland has a house for you. There’s waterfront property on Lake Macatawa and clean and crisp homes near downtown. Do you want a reasonably-priced 3-bedroom/3 bathroom/2,000 square foot house less than five miles from Lake Michigan? Holland has you covered. Want something a bit bigger (2,200 square feet) with another bedroom that’s one block from that very lake? It’s here. New construction? Absolutely. But you’re not quite ready to pack your things? Let’s talk beaches. Plenty of them, highlighted by the ones at Holland State Park, which features ⅓ mile of white sand. You can swim, boat, fish, and camp to your heart’s desire. Not into the water? Do some cross-country skiing in the winter or some mountain biking on trails in the fall. Or do you simply want to take the kids to the playground? Holland has 23 parks, and most of the homes in the city are a 10-minute walk from one of them. Living in Holland also gets you a year-round pass to all that is wonderful about Dutch culture. Founded by settlers from the Netherlands, who left to escape poor economic conditions, Holland is home to a plethora of Dutch attractions. Enjoy the DeZwaan Windmill, learn how to Klompen dance, and eat and drink Dutch food and wine. And of course, experience Tulip Time, that truly Dutch tradition. Nearly 100 years old, the annual festival has been ranked as the #1 Flower Festival in the country (USA Today) and is a bonanza of fun. 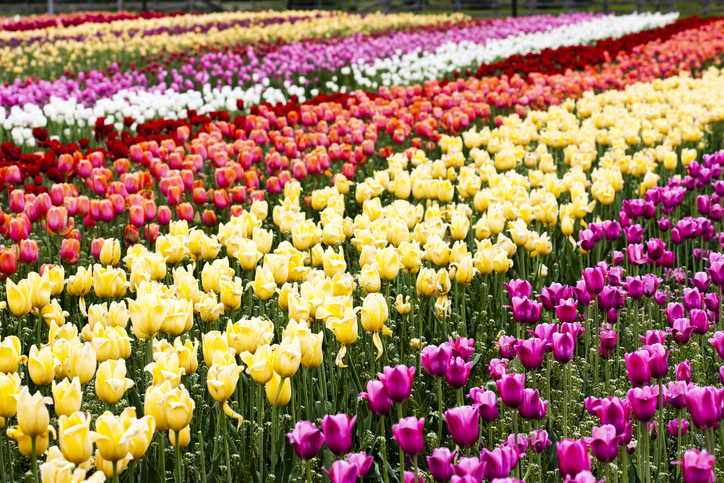 Carnival rides, parades, fireworks, street performers, crafts, local beer…and more tulips than you could ever count. The city turns into a wonderland of color and activity enjoyed not just by tourists but by residents as well. Are you ready to be a resident of Holland? The city gives you so many reasons to be.